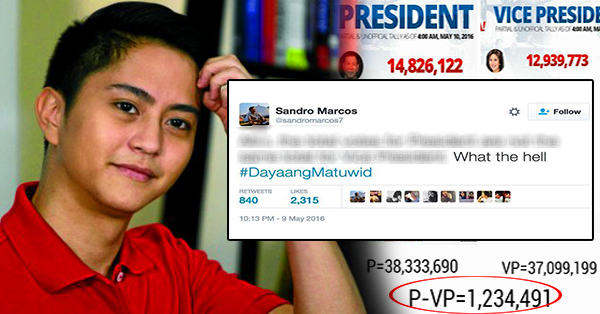 READ THIS: Marcos' Son Accused the Government of Cheating via Twitter! 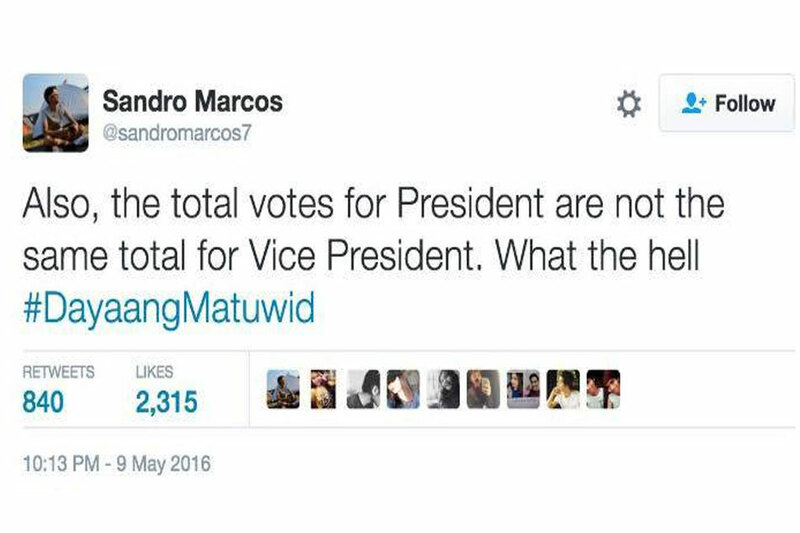 Sandro Marcos, son of vice-presidential candidate Bongbong Marcos, accused the administration of cheating in the 2016 elections. Based on his post on Twitter, Sandro had doubts when it comes to the total number of votes for president and vice president that did not match. He also put the hashtag #DayaangMatuwid as reconstructed indirectly pertaining to the admin's motto, "Daang Matuwid". In addition, he added to a separate tweet that why there was an hour break in the transmission of election returns. The tweets he posted became unavailable, as he refused that he was the one who removed the post. Based on the current election results as of 6:45 PM today, Leni Robredo already leads the vice-presidential race as she already surpassed Marcos at around 4AM.